Willie Nelson is without doubt one of the most recognisable figures in Country music in the world. Together with his ‘family’ band Willie has scored mega hits, both singles and albums on both sides of the Atlantic. Not only has he dueted with many huge names in music, he has starred in countless films and even has his own brand of Marijuana. 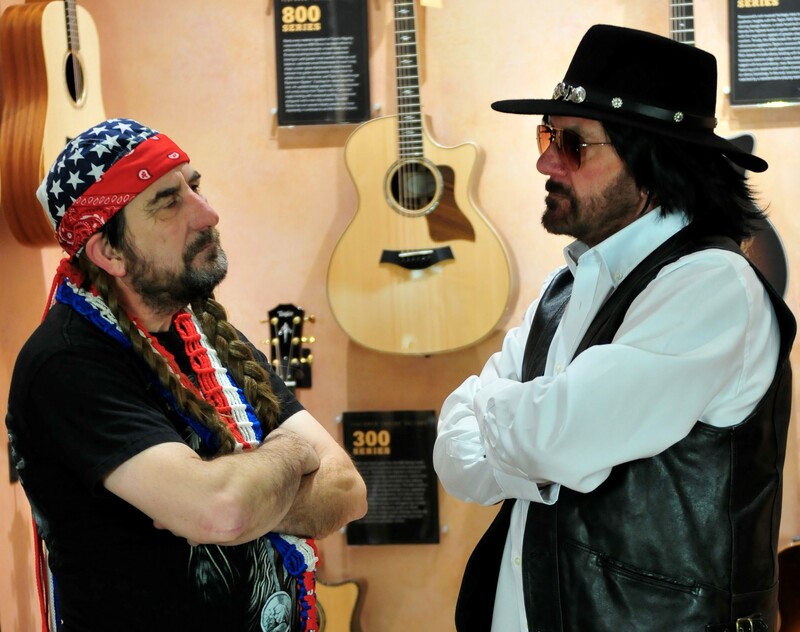 With Gary Luntley up front with a convincing and compelling take on Willie, Full Nelson recreates the might, phenomena and legend that is a Willie Nelson live show. Not only sound-alike but look-alike, this full live band pays homage in true splendour playing hits and album tracks spanning Willie’s six decade career. 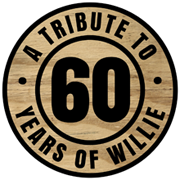 With full harmonies, wailing harmonica, Hammond stabs and of course, Willie’s unique playing and singing style, no Willie fan will be disappointed. It’s a chance to salute an absolute icon, who at the time of writing is still relentlessly touring, writing and performing in his eighties. Willie is joined by Ian James as Waylon Jennings, so as well as all the best Willie Nelson songs and collaborations, we’ll be adding in Waylon’s best too! Together, Willie and Waylon are part and originators of the ‘Outlaw Country’ movement, blending folk and rock rhythms and country instrumentation . ‘Outlaw’ because they went their own way, securing their own recording rights and reacting against the strict control of the Nashville producers’ style and slick but restrictive sound. Other early outlaws were Kriss Kristofferson, Johnny Cash and Merle Haggard. The 1976 album Wanted! The Outlaws featuring Willie, Waylon and others is a compilation that first broke the platinum sales barrier for country music. Knew Gary when he was around 11 or 12 yrs old. Great voice even then and I somehow knew he’d make it in music. Me and a couple of lads backed him in his folks’ garage. I think a couple of Bee Gees numbers. He sounded great. (So did we). Good guy, Gary. All the best, mate! Wow!! Belting show , Whitby. Last night. Would love to hear gary sing “angel flying too close to the ground”.from Babs and John , swanwick, Derbyshire. © fullnelson.co.uk 2015, All Rights Reserved.